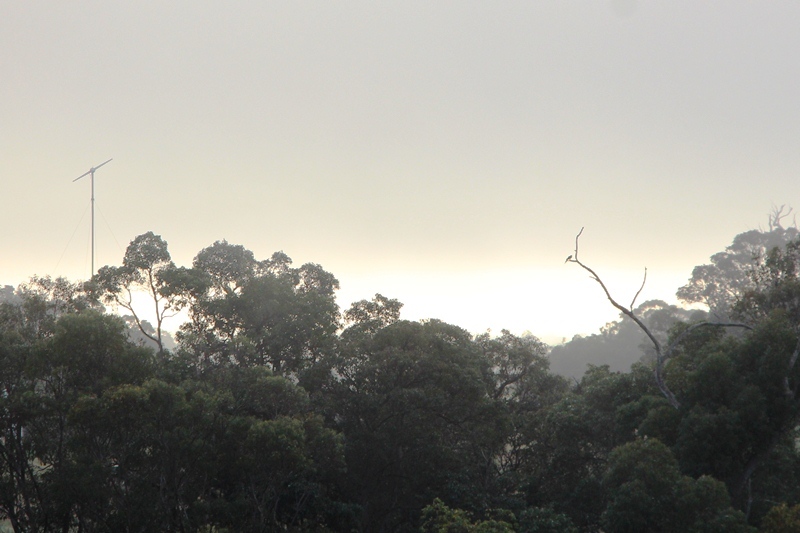 With low cloud cover and morning rain, there was no early sunrise, but there was a lovely soft silver sky. As I was taking the photos, the sun briefly appeared through a small gap in the clouds. 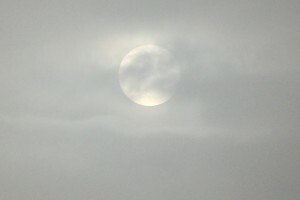 With the mist and the rain softening its light, it looked more like the moon than the sun. We ended up with another 8mm of rain, but the sun finally came out in the afternoon.